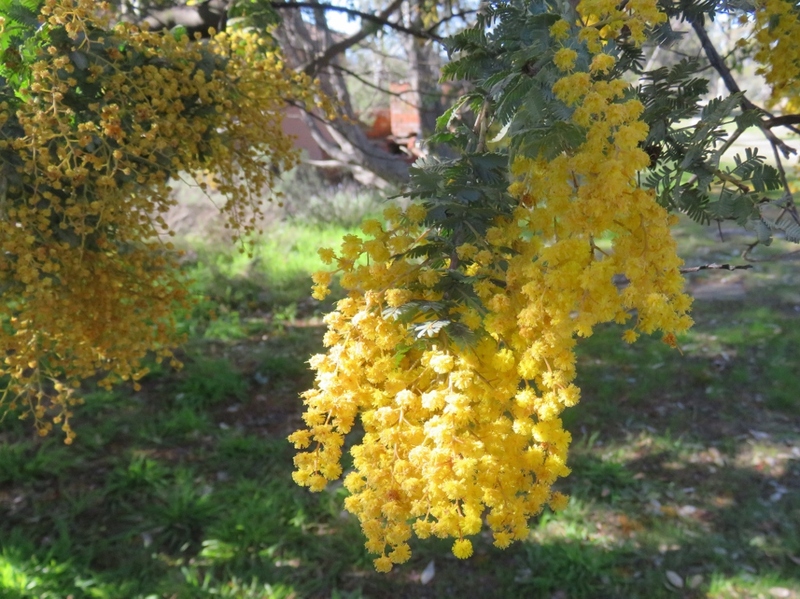 Happy Wattle Day and spring time in Canberra! I’m a little bit late for this greeting…. 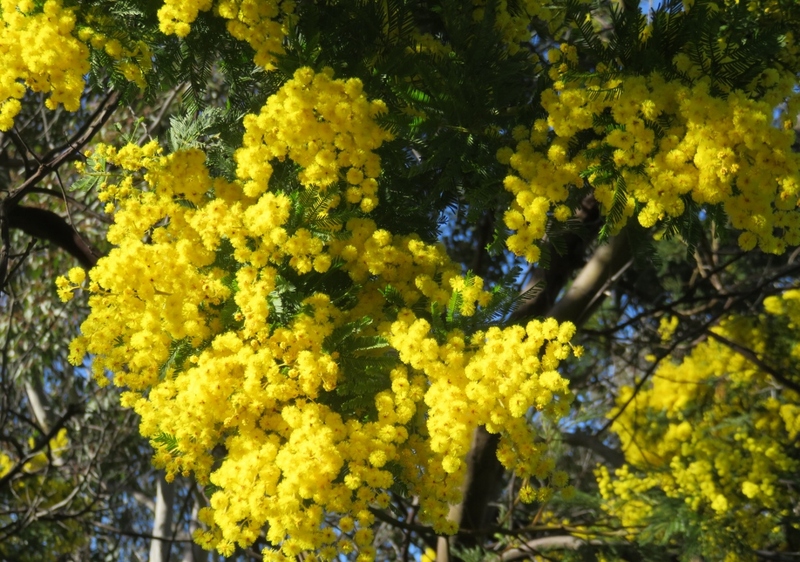 Wattle Day in Australia is 1st September, the beginning of spring. 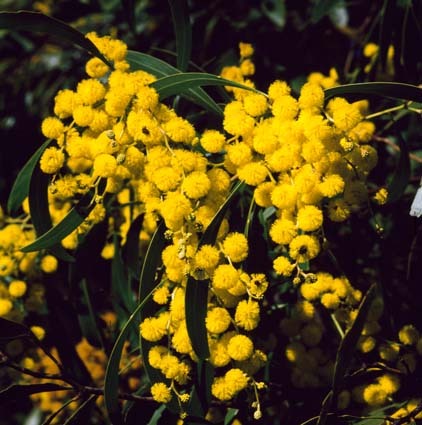 The Golden Wattle flower is our national floral emblem. It is colourful, full of hope, incredibly resilient, and regenerates easily after fire. The perfect Australian plant. 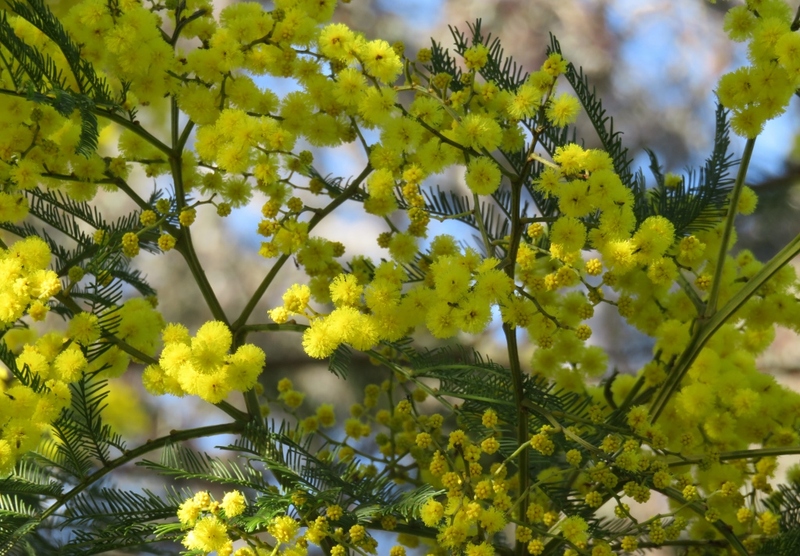 There are more than 1000 species of wattle in Australia, and I am told, somewhere in Australia a Wattle plant is flowering every day of the year. How about that! and some were just starting to bloom..
Flowering in the National Art Gallery spring garden is a more unusual Wattle, with a cinnamon coloured flower. It is called Acacia Leprosa or Scarlet Blaze. 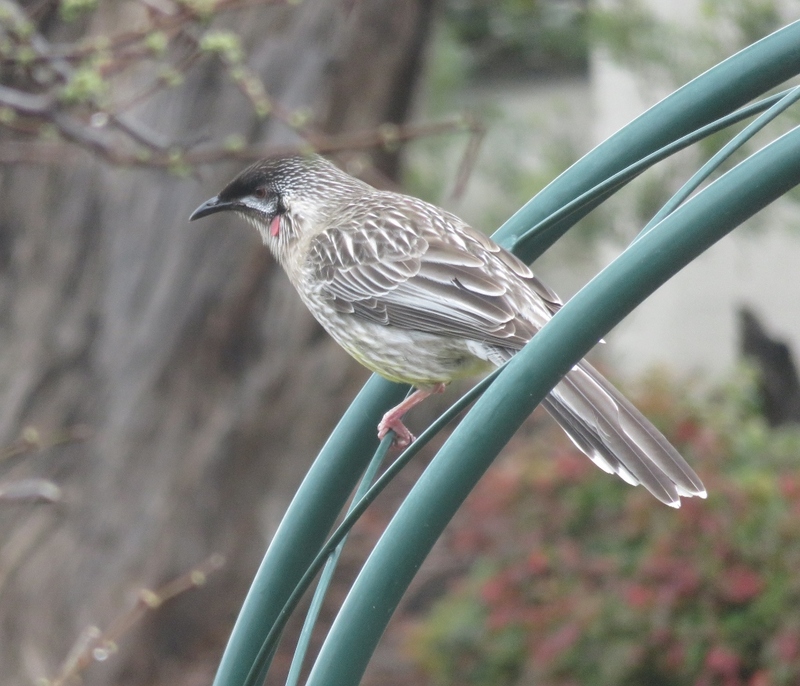 I was having a very Australian bird kind of day on the first day of spring as I walked…. The Red Wattle bird is watching me from the garden. 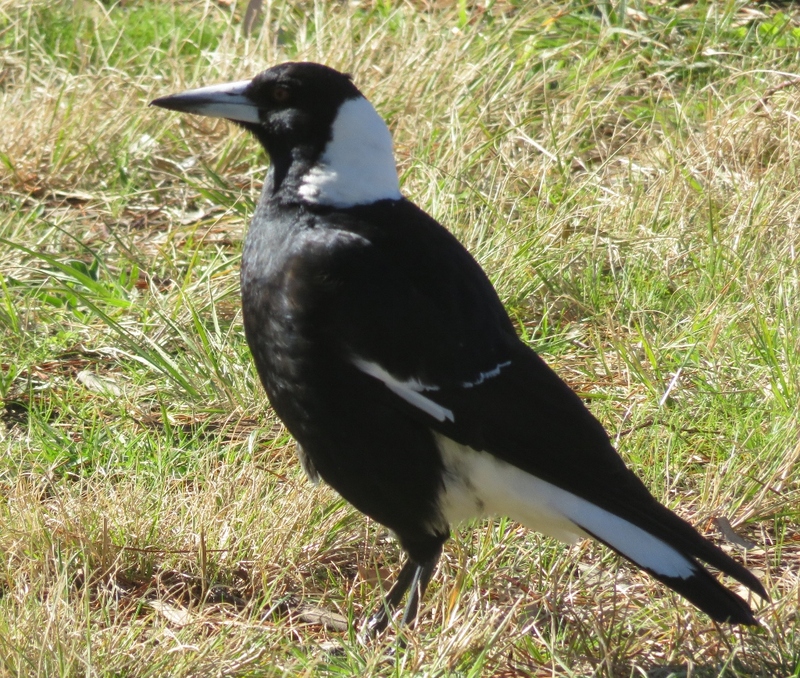 Our resident magpie is….looking alert. Magpies can be tricky in spring because they become very territorial and can swoop passers-by. I like to think I’ve built up some good karma by providing so many water bowls for them in summer, not to mention putting up with high maintenance babies. 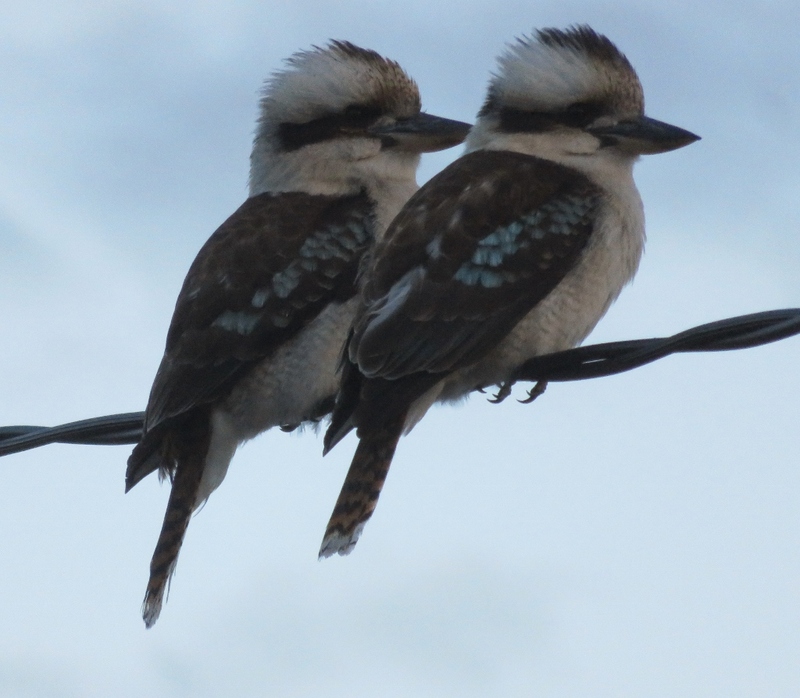 At the end of the day….a call from the two very cute new kookaburras who seem to have set up home in our area..
What could be better for the first week of spring? I hope you are enjoying your green spaces wherever you are in the world. 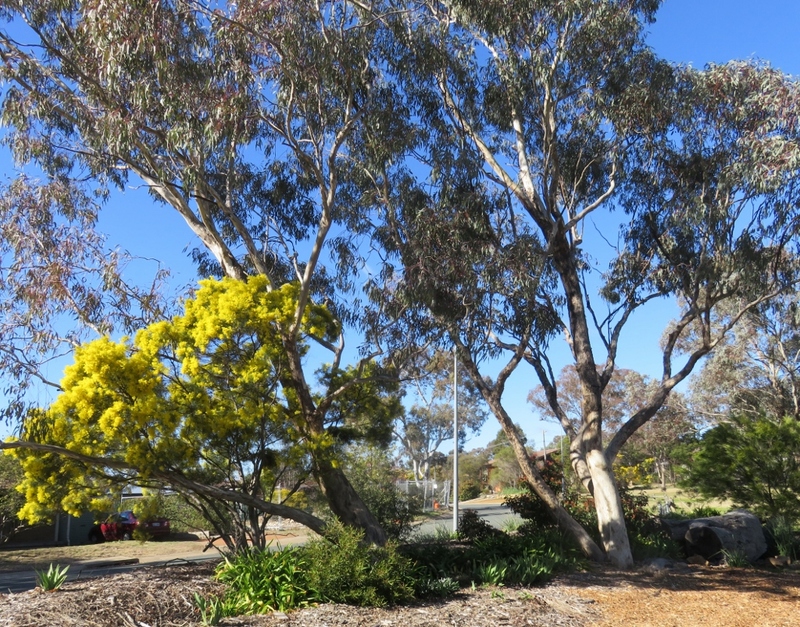 This entry was posted in Canberra's Public Gardens, Canberra's Suburban Gardens, My Place, Wildlife in the suburbs and tagged Acacia Leprosa, Canberra, Kookaburras, Magpies, National Art Gallery, national floral emblem, rain, Red Wattle Birds, Scarlet Blaze, spring September, Wattle Day, Wattle day Association on September 6, 2016 by germac4. Such a lovely post Gerrie! What great pictures of the birds. We’ve had some blue wrens about which is quite special. Thanks Lyn…yes we have had a few visits from some little birds lately, but not the blue wrens, they are special! I just love your wattle flowers. They are little balls of sunshine. They are just the right thing after a dreary winter! Not so green where I am right now under the burning African sky! Plenty of greenery on your return, enjoy your wide brown land over there! 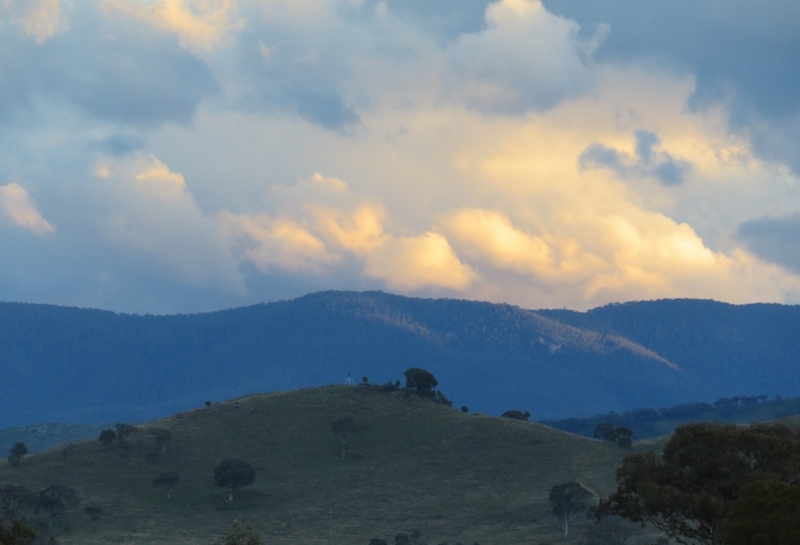 I was interested to read this and fascinating to think that the wattles have been part of the landscape for so long. They are such a bright flower, too. I love all the birds. The kookaburras look so different to anything I would see here, while the magpie looks so similar to the magpies found in my garden. Thanks Wendy, the Wattle flowers are very bright indeed! The kookaburras are a big favourite in our garden and don’t mind having their photo taken. Thanks Sylvia …. It is nice to see & feel spring! Yes, I love the kookaburras, they look as if they have put gel in their crew-cuts and are ready for the movies! 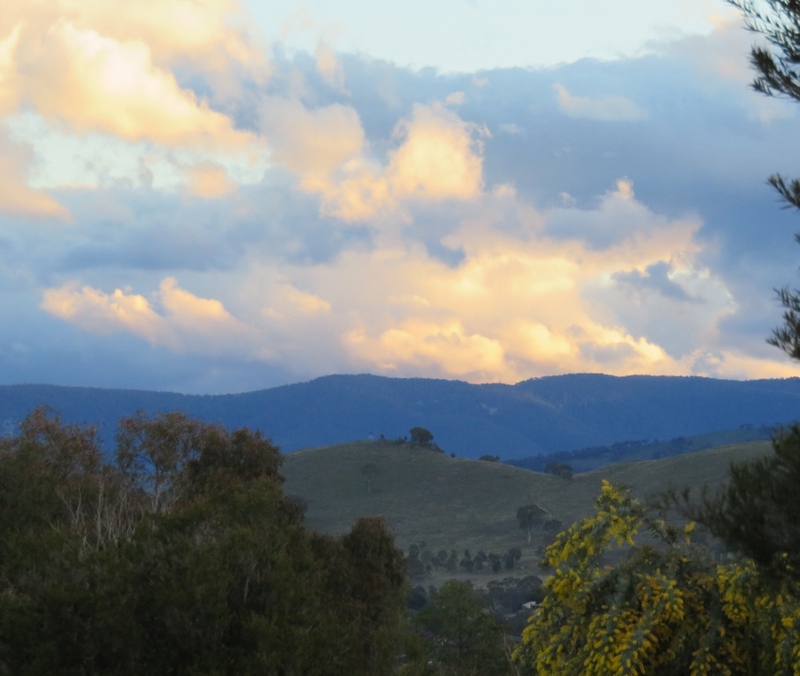 I love the Wattles – what wonderful trees! The kookaburras are pretty cool, also. Lucky you, just starting with spring, as we head into fall and winter. Your blog & others helped keep me cheerful through our winter …..hope I can do the same. Happy spring, Mimosa, as we call it here, is one of the first trees/shrubs to flower here in spring. I planted one a couple of years ago and it is growing with no addition water at all and looks like its thriving. Interesting to hear of your experience with Mimosa … The fact that they can survive with so little water is a big plus. 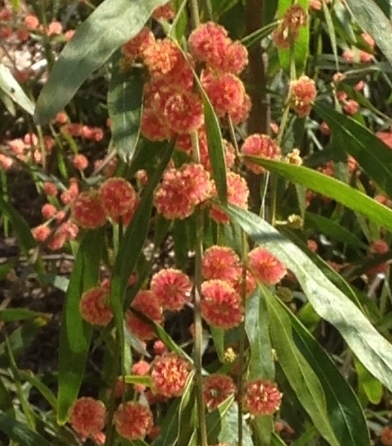 The Wattle flowers are so soft and beautiful. I love the happy yellow. Happy spring to you! Thank you, spring is always welcome! I was about to comment on your post, I enjoy your wonderful photos of gardens. So sorry that you are experiencing drought now. Yes, I’ve enjoyed looking at overseas blogs during winter, we all get our turn! I do love the kookaburras too, and they share food with each other too, which is lovely to see. the kookaburras look so cute! 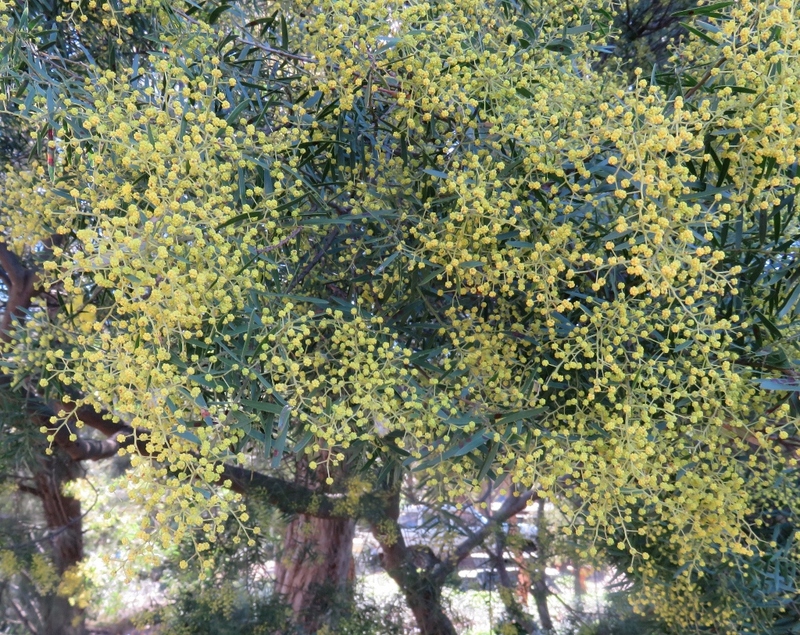 So many wattles start flowering on the first day of spring too. It lifts the spirits!